Kristofer Helgen, curator of mammals at the Smithsonian’s National Museum of Natural History first became suspicious of a new species when he was studying the museums collection of olingo specimens. While looking through the Smithsonian’s and other natural history museum’s olingo specimens, he began to notice that some things were not like the others. Some pelts, that were categorized as olingo’s, had much longer fur, and tended to be more reddish in color. He also noted that these specimens were collected at much higher altitudes than olingos are known to live. 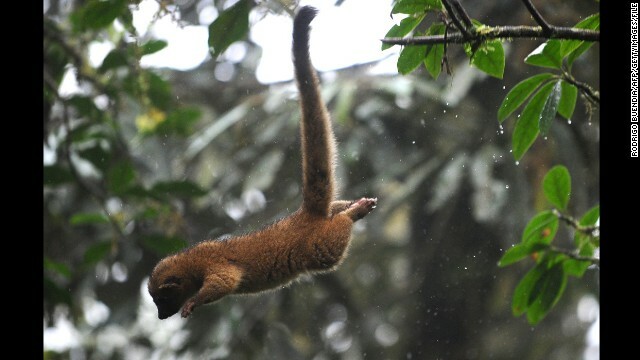 These inconsistencies sparked a 10 year search for a new species, which began in Ecuador’s Otanga Cloud Forest Preserve. They discovered that not only is the olnguito a completely new species, but that it actually has four subspecies. The animal weighs about 2 pounds, which makes it the smallest animal in the raccoon family. Thats right, that teddy bear faced fuzz-ball is related to that wiry hair animal that digs through your trashcans. 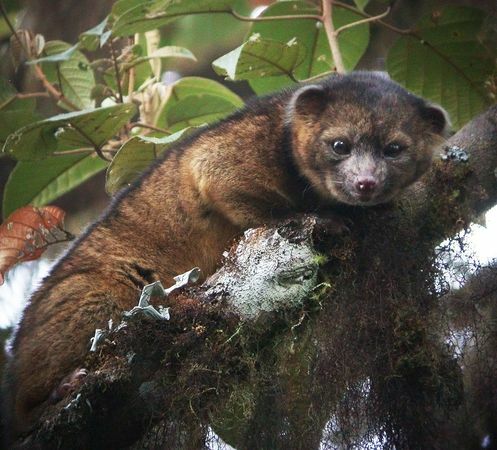 Olinguitos live in the tropical forests of Ecuador and Columbia and it’s estimated that 42% of the olinguitos natural habitat has already been converted to agriculture or housing.